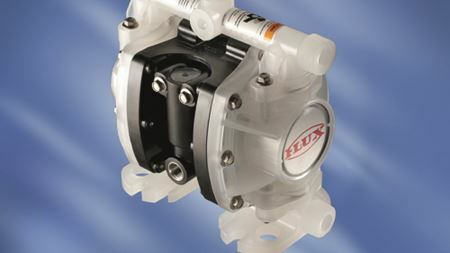 A new air-operated diaphragm pump has been launched by German manufacturer FLUX-GERÄTE. Ensival Moret launches a vertical version of its EMW range for slurries. George Harris, president and CEO of Hydro Inc, has been elected chairman of the Hydraulic Institute (HI) board of directors for 2015–16. German firm Netzsch will be displaying a wide range of its positive displacement pumps at the Wasser Berlin trade fair. Finish Thompson has extended its ULTRAChem series of centrifugal pumps with two new models.